Everybody and their dog bumbles on about Bioderma and how great it is at taking off eye makeup, but as someone who has never managed to find myself a bottle, I have instead been a huge fan of The Body Shops Camomile Remover for years and years now. The clear solution can be placed onto a cotton pad and then swept over the eyes to remove all eye makeup. Within a matter of seconds, all eye make is entirely removed and your eyes are left beautifully clean. This solution is really strong so it can sting the eyes really slightly if its gets onto your eyes, but nothing that a splash of water can’t fix. I havent used a product, other than the body shop cleanser, that cleans my eye makeup off the same and for this reason this is a product I always have in. I highly recommend you try some if you’re after a Bioderma dupe. 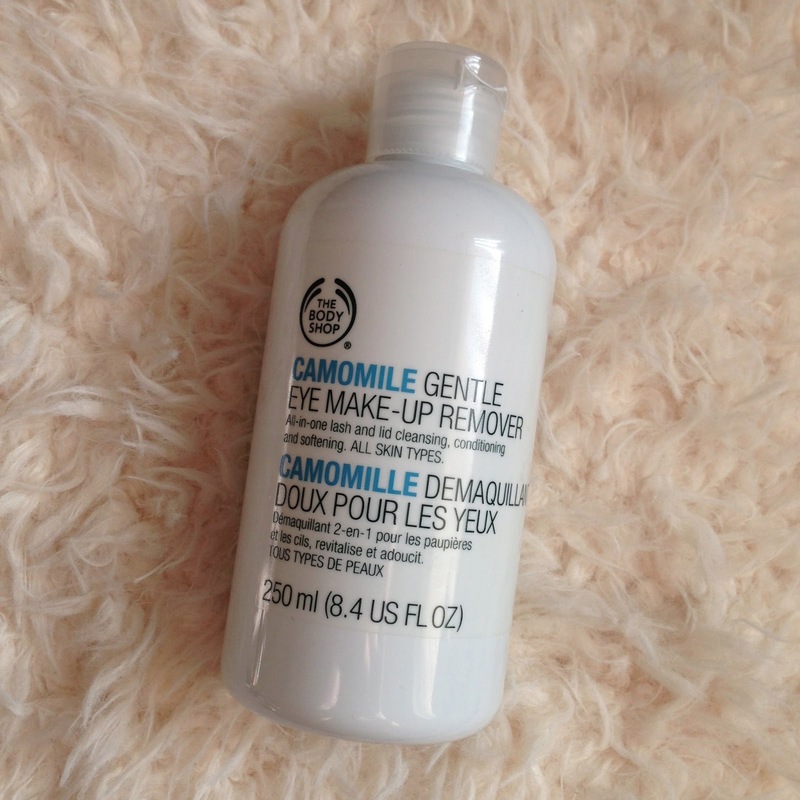 What is your favourite makeup remover? Have you tried this gem?